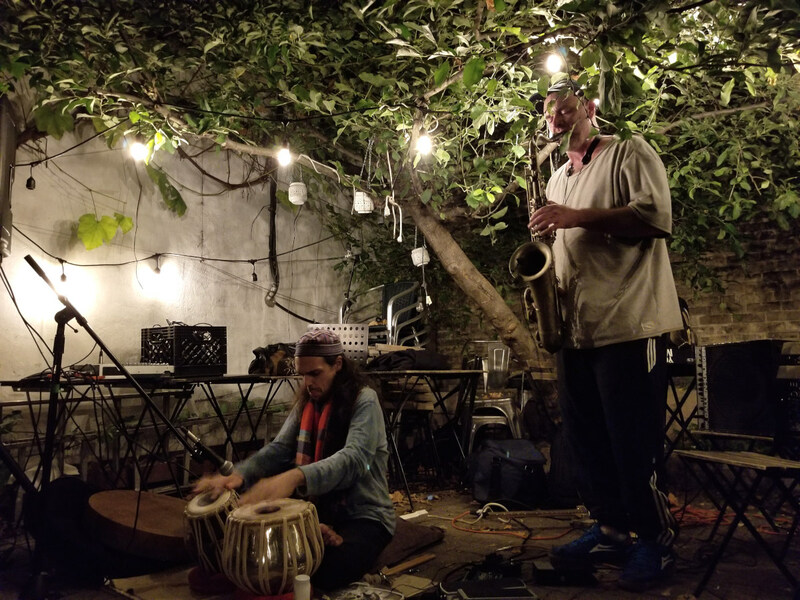 Recorded at Café Pamenar's back patio, September 20, 2018. A mildly-unsettled evening for the season's final patio show, with a piquant breeze and a few raindrops just before showtime. The forecast was calling for a late-evening warming pattern but instead there was a bit more of a hint of a autumnal chill in the air. Ever since I saw this duo make their formal live debut together they've been playing occasional gigs but I hadn't checked back in with them until now. 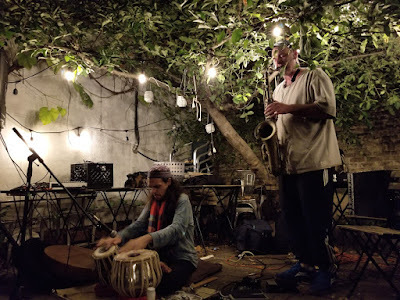 With Cirone's tabla providing the propulsion, Fisher added textures on guitar and sax, with pads and loops often creating multiple layers for him to drift above. Recording: Are We Not Devo? We Are Not!